FC Barcelona and Leo Messi have agreed on a contract renewal that will keep the Argentinian at the Club until June 30th, 2021. The deal will be signed in the coming weeks, when Messi returns to the team for pre-season training. 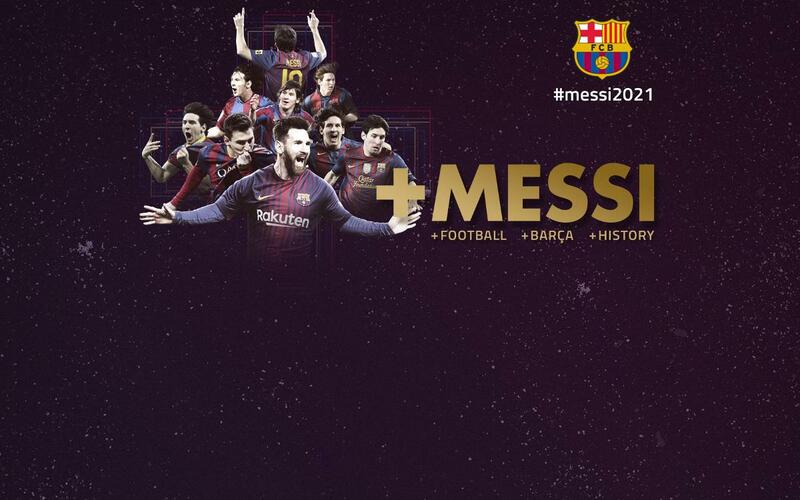 The Club is very happy with both the renewal and the commitment of Messi, the best player in history, who has played his full professional career at Barça and has led the team to an era of extraordinary success, the likes of which has never been seen in world football. The Argentinian star joined Barça back in 2000 as a 13-year-old, arriving from Newell's Old Boys. After impressing throughout the various youth categories, he made his first team debut at just 16 years of age in a friendly against FC Porto, before making his debut the following season against Espanyol at 17. Shortly after, he scored his first senior goal with a clever lob against Albacete at the Camp Nou. The rest is history. Leo Messi has since gone on to break just about every record and has become the greatest player in the world. Now, at 30 years of age, Messi has completed 13 seasons with the first team and, with his new deal, will remain for a further four. Messi has racked up eight La Liga titles, four Champions Leagues, five Copa del Rey, seven Spanish Super Cups, three European Super Cups and three Club World Cups. Individually, he has won the Ballon d’Or prize five times, more than any other Player in the history of the game, four Pichichi and four Golden Shoes. With Barça, the no.10 has scored 507 goals in 583 matches and is the club’s record goalscorer, as well as La Liga’s record goalscorer. But Leo Messi will not stop there - the Argentinian is in one of the best moments of his career and still has a lot more left to give, which is music to the ears of all Barça fans who will get to continue marvelling at his greatness for at least another four years.